The United States department of Justice in conjunction with Swiss police have released new indictments following the 6.a.m arrests of two FIFA Vice-presidents, Alfredo Hawit of Honduras and Juan Angel Napout of Paraguay, in Zurich yesterday. A total of 16 officials have been laced with fresh corruption charges for sums totalling $200million dollars mostly relating to TV and marketing deals in north, south and central America and the Caribbean. The most shocking detail in the new indictment is the new revelation involving officials who were indicted following arrests last May namely Jack Warner and Jeffrey Webb who has already pleaded guilty to seven charges, but this men in the most inhumane of professional characters embezzled money meant for Haiti Relief victims..
Webb, a banker from the Cayman Islands, has pleaded guilty to racketeering conspiracy, three counts of wire fraud conspiracy and three counts of money laundering conspiracy. As part of his Webb's plea, he agreed to forfeit more than $6.7m dollars. 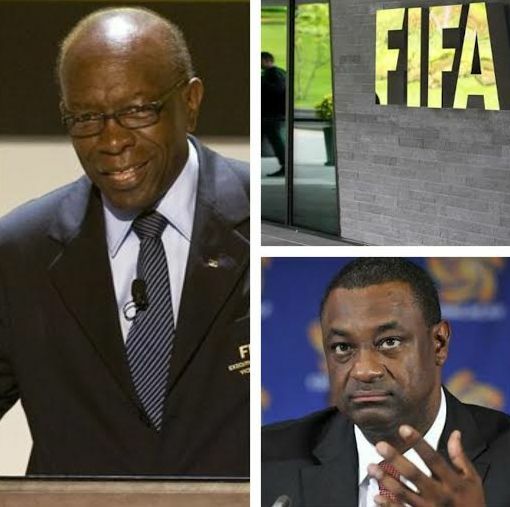 Warner diverted $750,000 in emergency funds donated by FIFA and the Korean Football Association intended for victims of the 2010 Haiti earthquake. He is currently fighting extradition by U.S authorities from Trinidad to the USA. The indictment states: "The conspirators' corruption of the enterprise extended beyond the payment and receipt of bribes and kickbacks. "FIFA's provision of money - which totalled in the hundreds of millions of dollars - to its member associations in connection with the Goal Program, Financial Assistance Program (FAP), and other programs created opportunities for officials to embezzle or otherwise fraudulently appropriate funding intended to benefit FIFA's member associations and their constituent organisations, including youth leagues. "Certain of the defendants and their co-conspirators, including the defendant Jack Warner and Jeffrey Webb, took advantage of these opportunities and embezzled or otherwise personally appropriated funds provided by FIFA, including funds intended for natural disaster relief." US attorney general Loretta Lynch speaking in Washington DC said : "The betrayal of trust is truly outrageous." "You will not wait us out and you will not escape our focus."